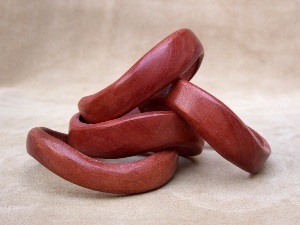 Why Not Be Fabulous is proud to present a new and unique line of hand carved wooden bangles by craftsman Leonardo Evrard. 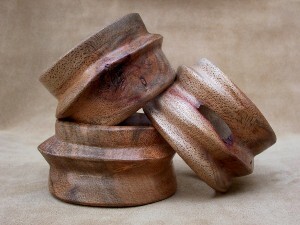 Each bangle has been created with intimacy and precision out of Argentine wood. As Why Not Be Fabulous continues to pursue its search for organic and ecologically friendly materials to address the needs of today's woman, the addition of the Evrard bangles falls right in line with this idea. 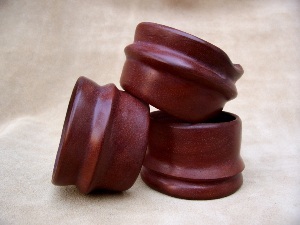 Leonardo Evrard is a renowned artisan who has found a true calling in the art of wood. He is self-taught and his life experiences, work, mistakes, and critics have made him and his art what they are today. The color, texture, and grain of the wood from his native Argentina, bring about a realm of output possibilities. These qualities are the source of inspiration for his designs. Why Not Be Fabulous, a wholesale distributor of handbags and accessories, focused on showcasing emerging designers from around the world is proud to present this eco-friendly line to the anticipating public! Going green has never looked so chic! Please visit: www.whynotbefabulous.com for more information.